January, 2018 | Roland Dumont Agency, Inc.
Did you know that many homeowners’ policies have special limits of coverage for certain types of property? Do you own any valuable jewelry? 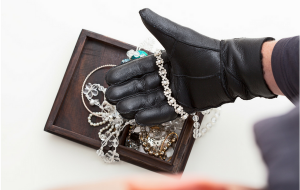 If so, did you know that many insurance policies only cover theft of jewelry up to $1,500? When I was in 2nd grade my mother helped me write a poem that ended up being published in our school newsletter. it landed on my windowsill just the other night. when we got back, guess what, there came another. I often think about this as we enter the winter season. It’s funny how your childhood memories carry so much meaning in your adult life. Most of us have endured a snowstorm in our lifetime. It can be thrilling, scary, or even inconvenient depending upon where you live, what your past experiences have been, and what impact it has on you at that moment. When I wrote the poem above, I was thrilled by a snowstorm. 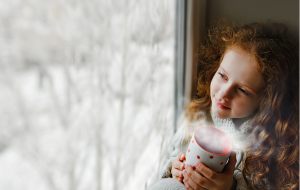 It meant a day at home to watch TV, go sleighing, and drink hot cocoa – all better options than going to school. As we get older, our experiences influence our responses to many things including snow storms. The thrills of youth become the anxiety of old. Keeping yourself, your family, and your home safe are most important. You should always pay attention to driving conditions, whether you have a 4-wheel drive vehicle, or one that you may be most vulnerable in.